It’s embarrassing the number of Democrats who believe they can run the country. When the Republicans had 17 candidates, that was far too many. And we can all admit that we wouldn’t want at least 5 of them as candidates. In the end, the best man won the primary. He then went on to represent the Republicans in the general election. Ultimately, of the two, the best man won. But with that other guy Hillary Clinton out of the picture, Democrats see a field day. We recently wrote about the number of Democrats who recognize their lack of leadership and want to dethrone some of the old guard. Smart Democrats will see the writing on the wall and now jump off this sinking ship. Case in point: New York Gov. Andrew Cuomo. He says he isn’t running for president in 2020. Cuomo, whose name has been mentioned frequently as a potential Democratic challenger to President Trump, was re-elected earlier this month to his third term as governor. Cuomo said in August that he planned on serving his full four-year term if re-elected in November, unless “God strikes me dead.” He said Tuesday that has not changed. “I have my own expectation of the candidate of what the Democratic Party needs to win. I think you’ll see a viable candidate in the Democratic field. It’s not going to be enough to be anti-Trump. We need a candidate who brings credibility and experience to the job and can connect to the people who we lost … that the Democratic Party lost … working men and women of this country who went with Trump because of the void in the Democratic Party. I think that is going to materialize,” he said. Cuomo added that the Democratic Party needs a nominee who can show voters they have experience and results in improving Americans’ lives. Consider that Cuomo has experience, but he doesn’t have the critical second piece. And neither do any of the other candidates. Cuomo is embroiled in controversy. We wrote of his woes not long ago. New York Governor Andrew Cuomo is no stranger to controversy. In fact, the man is a certified New York swamp creature. Recall that Cuomo shut down the commission investigating corruption he started. He did this when he found out the commission was investigating him. 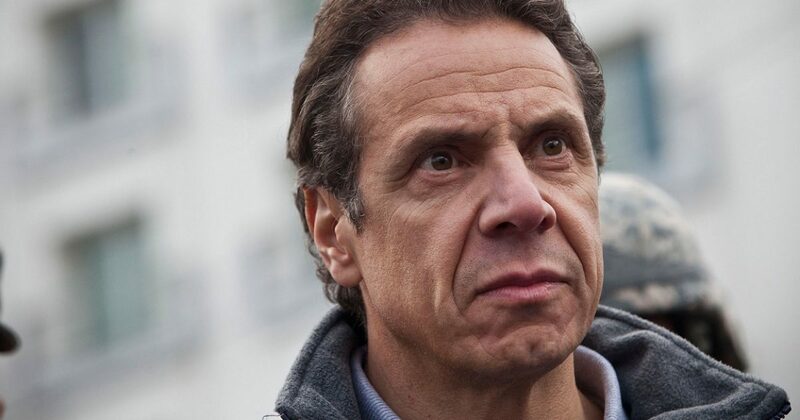 So we now have TWO of the highest ranking politicians in New York under indictment, and we are told there is one more person who rounds out the triumvirate of power. Under the state’s political system, the assembly speaker and the senate majority leader, together with the governor, comprise the so-called “three men in a room” who exercise virtually unfettered control over the legislative and budget process in Albany. That’s right, the governor, Andrew Cuomo. After claiming he never met with reps from the giant real-estate firm at the center of the corruption cases against Senate Majority Leader Dean Skelos and former Assembly Speaker Sheldon Silver, records show that Gov. Cuomo actually did meet with them in 2011. “No. Never,” Cuomo told reporters in Syracuse when asked if he had ever met with officials from Glenwood Management. But on Thursday, meeting logs showed he talked to Glenwood reps in 2011. Cuomo shut down the commission he started to monitor corruption, when that commission began investigating his corruption. There is a reason Cuomo isn’t running for president against arguably the most corrupt Democrat in politics, and that is Hillary Clinton knows where Cuomo’s bones are buried. And it remains that way. All Democrats know is pay for play. And Cuomo knows if anybody will expose his dirty dealings, it’s President Donald Trump. Cuomo dreamed of being president. But it won’t happen, because he’s afraid to run against a man who has no fear of him.